Off-grid homesteading in the high desert of Northern Nevada. It’s kinda late in the season, even though it’s only August 24th. 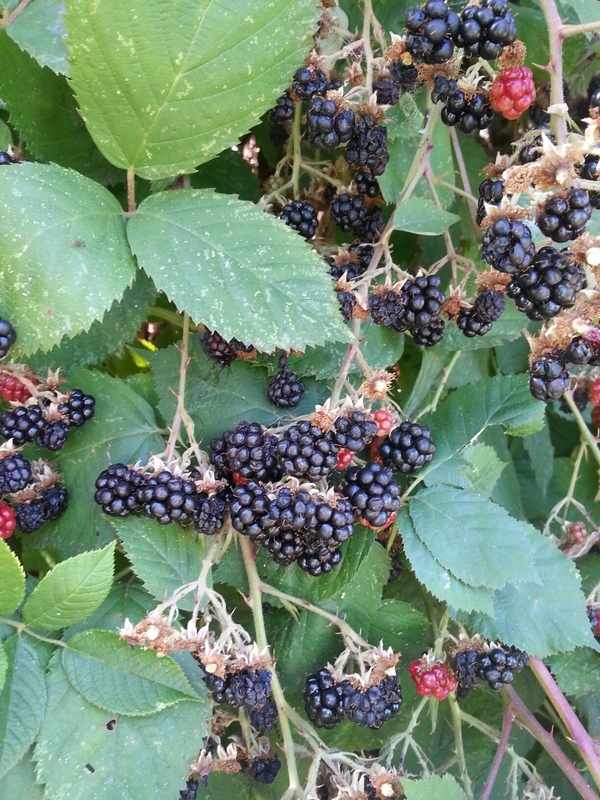 But the blackberries came on early this year, along with everything else in the Pacific Northwest. Usually you can still pick all the way through Labor Day weekend. Not gonna happen this year. 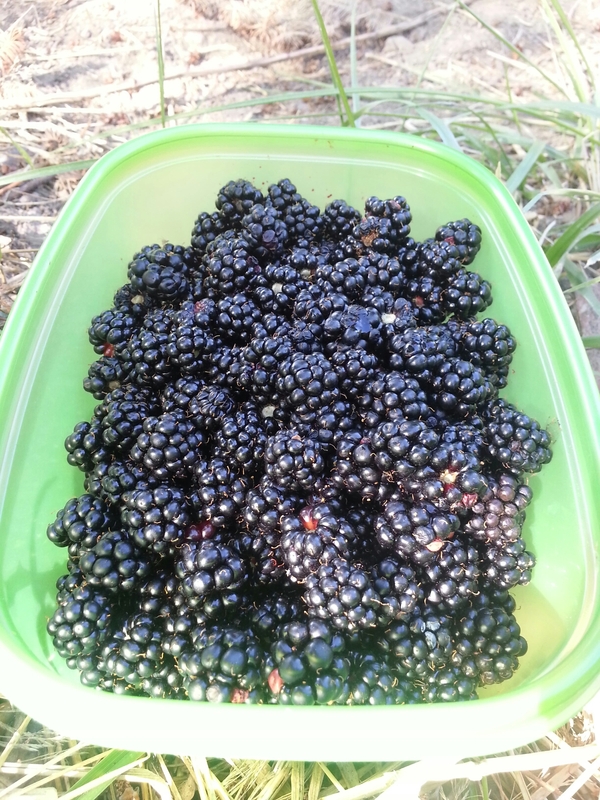 It took me about 40 minutes to pick 2 quarts full and I had to wander all the way along the edge of the clearing to find the good ones. And I’d like to say that as I sit here in the nice shaded clearing and write this that I happily munch on berries. 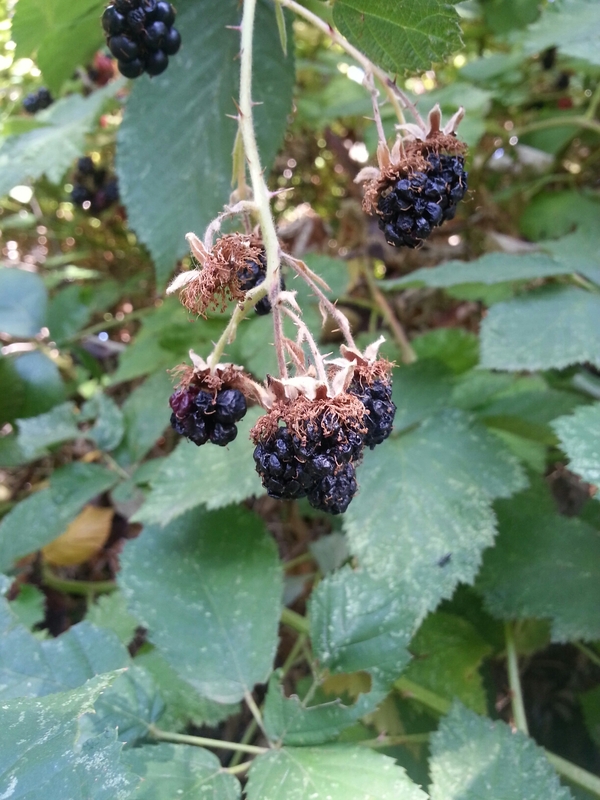 But, alas, about a month ago, I got violently ill after eating a bunch of blackberries, and now have an illogical fear of eating them off the vine. Oh, well, more for the bucket, eh? Who knows how long it would have taken me to pick enough had I been snacking on them along the way. 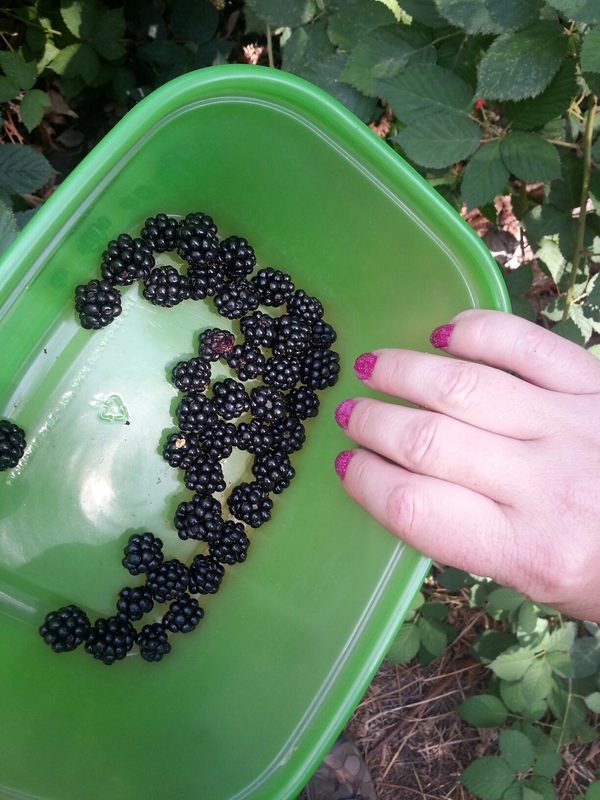 But it just wouldn’t be summer in the PNW without at least one fresh blackberry cobbler. And THAT I think I can stomach. 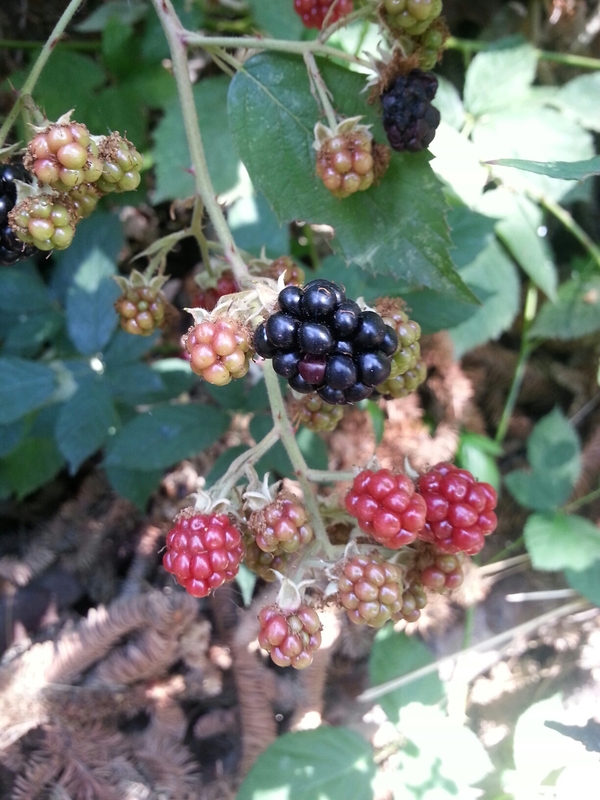 This entry was posted in Food Stuffs, Foraging/Wild Harvesting, Portland Interlude 2014-2016 and tagged Blackberries on August 24, 2015 by Maridy. House Update: we have stairs! !